With the legislative session set to close on Friday, all eyes have turned to Governor Mitch Daniels and whether he will make a run for President. We’re firm believers that no one really knows the answer to the question on most Hoosier politicos minds at this point. We do believe, however, that Haley Barbour’s exit from the race makes it much more likely that Governor Daniels will get in. Is it possible that these two old friends made a deal that Barbour would test the waters and, if things took off, he would be the guy who ran? If not, Daniels could step in and Barbour could help his campaign through fundraising and possibly some of the staff Barbour had collected through his early start. Barbour had the ability to get in earlier while Governor Daniels had legislative matters to attend to here in Indiana. We don’t have any answers but we’ll definitely be watching closely over the next two weeks. May 12th could get interesting when First Lady Cheri Daniels will be the Speaker at the Indiana Republican Party’s State Dinner. Who is introducing her? Glad you asked. 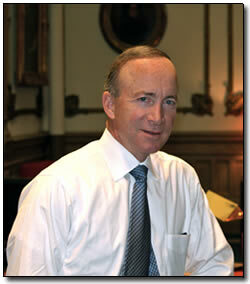 None other than Mitch Daniels himself. Hi there, i read your blog from time to time and i own a similar one and i was just cruious if you get a lot of spam comments? If so how do you reduce it, any plugin or anything you can advise? I get so much lately it’s driving me crazy so any assistance is very much appreciated.